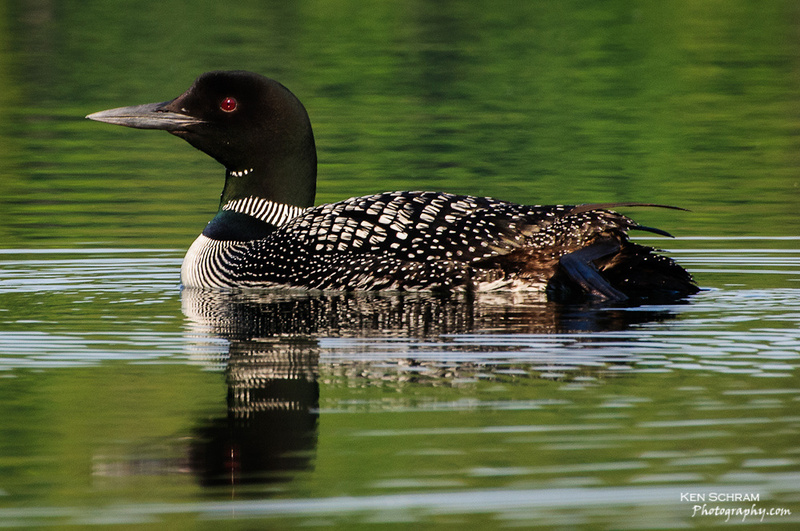 While I had a general knowledge about the loon’s inability to travers land, it wasn’t until I captured this image that it became painfully obvious why. Look how high on the back their legs originate! One thing is for sure, however. Neither “lummox” nor “clumsy” are words I’d use to describe them when their in the water!